***MULTIPLE OFFERS RECEIVED*** Highest & Best due by Tuesday, April 16 @ 5.00pm. 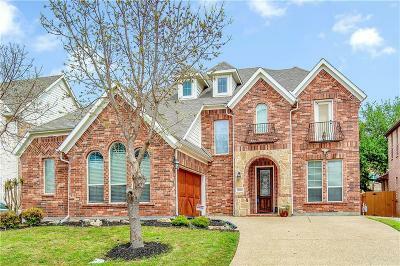 Welcome to this beautiful, bright and airy home situated strategically with easy access to Hwy.75 & 635, shopping, schools, transportation & much more. Well maintained, with Energy Efficient windows, attic insulation, HVAC system & tankless water heater. 36inch cast stone fireplace adds warmth and comfort to family room gatherings. Second bedroom with full bath downstairs is perfect for parents & in laws. Dual living rooms make for perfect entertaining. Relax and enjoy the oversized balcony by the game room.